Rediff.com » News » Sushma wants Gita as national book. DO YOU? Sushma wants Gita as national book. DO YOU? External Affairs Minister Sushma Swaraj on Sunday triggered a new row when she vociferously sought national scripture status for the Bhagavad Gita. Speaking at the 'Gita Prerna Mahotsav', organised "to celebrate 5,151 years of religious book Gita" at the Red Fort Maidan in New Delhi, Sushma said: "Bhagavad Gita has answers to everybody's problems and that's why I said it while standing in the Parliament that, 'Shrimad Bhagwad Gita' should be declared as the national holy book." "Everyone should read two shlokas of Gita everyday... It is a scripture of 700 shlokas and it can be finished in a year. Read it again and continue this till the end. After reading it three to four times, you will discover a path to lead a life, the way I discovered," she said. Swaraj also advised psychiatrists to read and prescribe the Gita to patients suffering from depression. Her views though have not found favour with the Opposition. While the Trinamool Congress said that the Constitution was the only 'holy book' in a democracy, the Congress noted that the essence of the Gita lies in its substance and not in its symbolism. What is your opinion on Sushma's views? 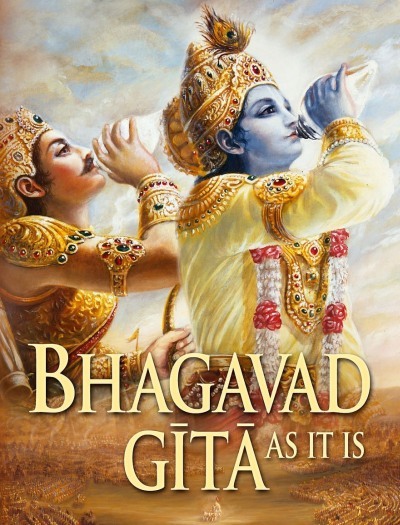 Should Bhagavad Gita be the national book? Ok, India's Congress-mukht, will Modi now run the country? Is Modi losing his touch?